As a mum, you probably spend quite a lot of time at home with your children. Even if you might not have thought about it that much, the way you interior design looks like can actually influence your mood and state of mind. Besides comfort and functionality, your home should also benefit from visual appeal, and if you have neglected the premises’ aesthetics for a long time, things might not actually be great in this department. Giving some new aesthetical touches to your interior doesn’t have to be complicated, pursuing a few decorative projects being all it takes to obtain the desired improvement. Because this is a household with kids, you will need to take this into account when you are making visual changes around. A colourful approach in terms of décor is the recommended option here. Throw pillows have become some of the most popular decorative elements for any living room design. Just by placing a few chic decorative cushions on your sofa, you will instantly boost the visuals of the area. 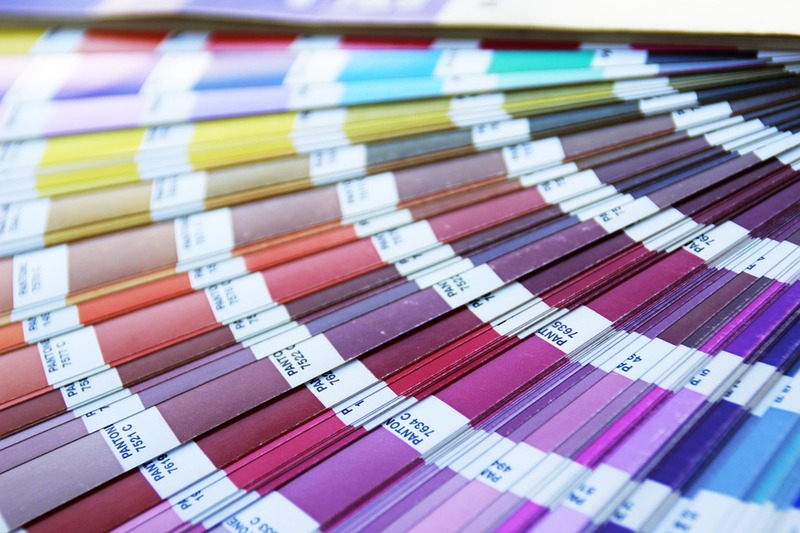 However, because you are now trying to make your interior more colourful, you will need to reassess your choices in terms of prints and shades. Go for abstract patterns that seem more sophisticated and also incorporate bright shades that stand out. Just by choosing the right pillowcases for your sofa cushions, you will manage altering the way your decor currently looks like. It’s easy and effective, and that’s probably what you are looking for. And whenever you get a bit bored by your living room aesthetics, you can simply opt for a pillow case switch, and benefit from a lovely change. If you love DIYs, you have a virtually endless variety of projects you can pursue, which will allow you to create your own personalized decorative elements for your interior design. Ribbon is probably one of the most versatile supplies you can use. Considering it’s so affordable and comes in a wide range of colours and finishes, you can incorporate it in numerous of your decor DIY projects. A great option here would be to create a curtain out of ribbon, either for your children’s bedroom or why not, for your living room, if you want to truly give the space a visible splash of colour. All you will need is long straps of high quality ribbon, and perhaps some tinsel UK, if you are going for a more festive result. Tie the ribbons onto a curtain pole, and let the straps fall onto the floor. Combine different complementary shades and you will obtain a statement curtain that will brighten up the entire room. You will see for yourself what a lovely effect this will give to the space, and the odds are, your kids will love it as well. Just a single wallpapered wall in one of your rooms can boost general aesthetics more than you would have imagined. 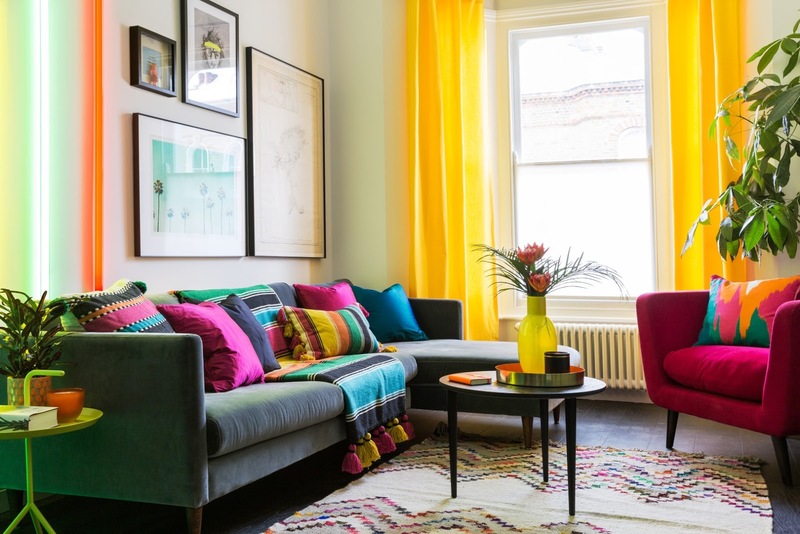 If you go for a style that incorporates colours and fun patterns, such as a butterfly style, this project will colourise the entire room and make it look and feel more playful and special. The market offers you so many great options in terms of wallpaper designs, so all you have to do is choose one that matches the current style of your interior, but also gives that dose of colour you might currently lack. Because you might not have that much free time on your hands, you probably don’t want to handle complex projects or renovations just to boost the curb appeal of your interior, and you don’t have to, as long as you know how to play around with the right decorative items. An example of element that can influence interior aesthetics is a brightly shaded rug. An exuberant rug with the right pattern and a blend of lively shades will instantly make any area seem entirely different – far more visually drawing and vibrant. Once your kids are old enough to draw and paint, it has probably become a regular activity for them to create their own fun artwork. Children are drawn to colours, so their drawing and paintings probably combine strong, vibrant shades. Choose a few of the artwork pieces they have created and turn them into a collage that can be displayed on one of your walls. This will not only make your décor more colourful, and actually look like there are children living there, but it will also be a great method of encouragement for your little ones. It doesn’t matter where you place the display, either on the hallway, in the dining room, or in the lounge area, this will give the space a fun and joyful touch. When it comes to the latest interior décor trends, neons are currently the go-to colour option for designers. 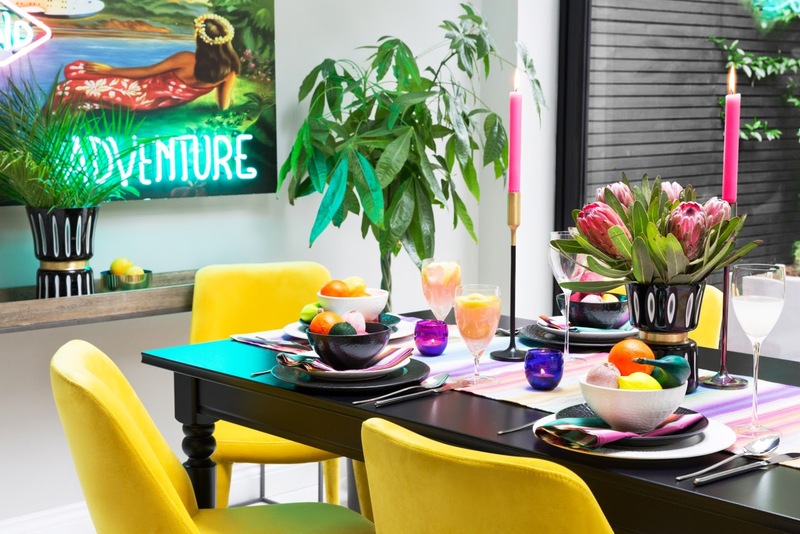 Regardless if it’s a coffee table, a lounge chair, or just a vase or a standard décor piece, if it comes in a neon colour, you will get an amazing effect, and turn even the dullest or the most traditional décor an entirely different appearance. So if you don’t know what colours to choose, neon shades are a sure bet. Home aesthetics can matter, influencing your general level of comfort, and with kids around, you have probably neglected your interior design more than you would have wanted. If you think it’s time to refresh the premises and give them a curb appeal boost, these decorative suggestions might actually help you out. Children love colours, so focusing on giving hoe aesthetics a playful, colour vibe is something that you should consider. You can start off with these ideas and come up with your own projects as well. A few new elements here and there can do wonders.